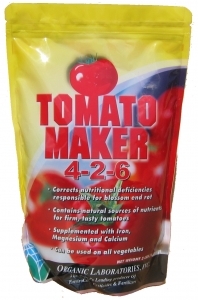 Rose Maker Natural-Base Fertilizer for Roses and other flowering plants. © 2008 Organic Laboratories, Inc.
Rose Maker Natural-Base Fertilizer for Roses and other flowering plants. 3-5-8 o Contains natural sources of nutrients o Enhances appearance, blooms, and vigor o Natural sources of nutrients feed plants o Supplemented with iron, magnesium, and calcium o Use on roses and most flowering plants fossilica_brochurefossilica_label © 2008 Organic Laboratories, Inc.